Working with an coach who specializes in your content and grade level can make all the difference. Our members partner with a coach for three months to set goals based on a diagnostic lesson video, reflect on their performance in four competencies, and refine their teaching practices. 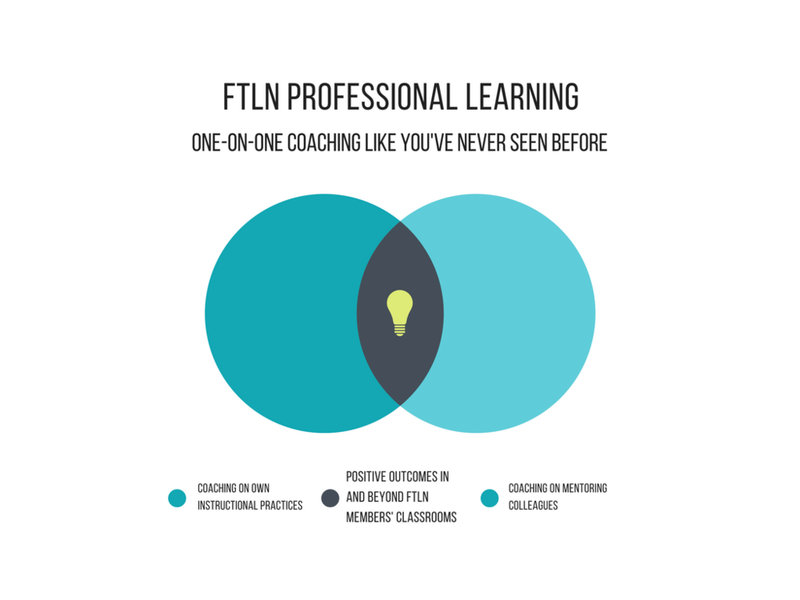 After reaching their goals, FTLN members transition to learning how to mentor a colleague. The ultimate goal is to positively affect student outcomes in classrooms beyond their own. With the guidance of their coach, our members work with their mentee for approximately four months.